Scenic View Roofing LLC supplies some of the most reliable shingle roofing materials on the market available to our customers! Roofing shingles, when administered correctly, overlap one another as individual pieces. In the past, Scenic View Roofing LLC used archaic materials such as copper as an underlay for the ridge of roofs but we have since upgraded to a plastic underlay for our roofing shingles. 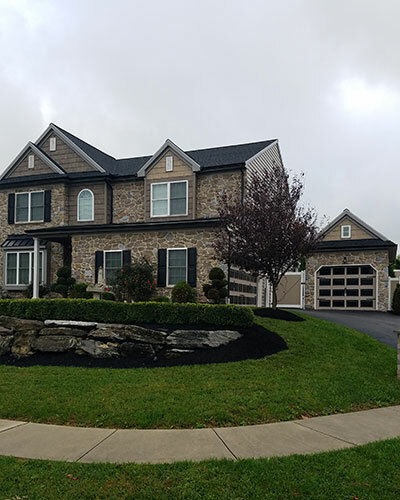 Our Lancaster County based roofing company employs a variety of roofing materials when applying roofing shingles today; including shake and fiberglass asphalt shingles. We like to make you aware that wood-based roofing shingles are more susceptible to catching on fire. Each shingle variety has its unique pros and cons and we will provide a free consultation to select the ideal shingle solution for your roofing needs. We believe a great roof starts with using the highest quality roofing materials, no matter if it is a shingle, metal, or rubber roof. 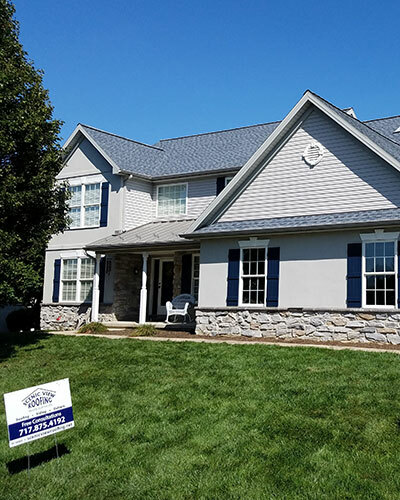 That’s why, at Scenic View Roofing LLC, we provide several different shingle roofing varieties for your Lancaster County and surrounding areas roofing needs. We typically recommend the use of fiberglass asphalt shingles over other roofing shingle materials due to their lightweight build, fire resistance, and impressive durability and longevity. Fiberglass asphalt shingles last an average of 50 years or longer compared to most roofing shingle options. 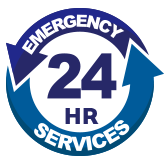 Our team is one of the few local roofers to offer 24/7 emergency roofing services. As Amish roofers, we are dedicated to the values of hard work and expertise in our craft, as well as putting others first. We offer the best materials and labor for a fraction of the cost of our competitors. Our warranties are unbeatable and we’re a GAF certified roofing contractor. Contact us today to learn more!